Last Friday 25th January,Waterford County Museum were delighted to welcome Mr. Donal Moloney and his family to the Museum. The Moloney family were important 19th century merchants in Dungarvan with a large corn store on Davitt's Quay and a shop on the Main Street. The family had many ships including The Lady Belle, Harvey, Peri and the Catherine Ellen. 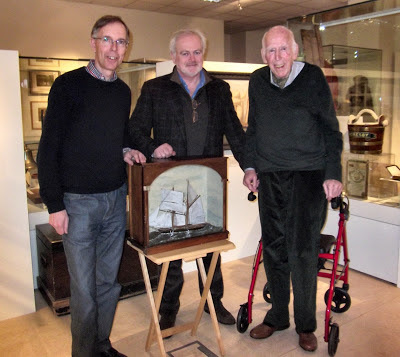 Donal presented a model of the ship Harvey on long term loan to the Museum which will be on display as part of our special maritime exhibition in early May.